Because it was not a distribution of 2014 earnings, the distribution paid in January of 2015 that was declared in the fourth quarter of 2014 and payable to shareholders of record as of December 31, 2014 will be treated as a 2015 distribution for federal tax purposes and is not included on the 2014 Form 1099. Starwood Property Trust (NYSE: STWD), an affiliate of global private investment firm Starwood Capital Group, is the largest commercial mortgage real estate investment trust in the United States. The Company's core business focuses on originating, acquiring, financing and managing commercial mortgage loans and other commercial real estate debt investments. Through its subsidiaries LNR Property LLC and Hatfield Philips International, Starwood Property Trust also operates as the largest commercial mortgage special servicer in the United States and one of the largest primary and special servicers in Europe.  With total capital deployed since inception of approximately $13.5 billion, Starwood Property Trust continues to solidify its position as one of the premier real estate finance companies in the country. Additional information can be found at starwoodpropertytrust.com.